Over 30 years after the release of the original “Ghostbusters” in theaters, its fans are finally getting to see it take shape in new attractions opening all over the world. Someone from Sony must be shopping this intellectual property around because there seems to be a lot of activity over this franchise. One could say the new film caused this, but none of the new attractions I am going to show you are based on the 2016 version. Curious? Let’s dig in. 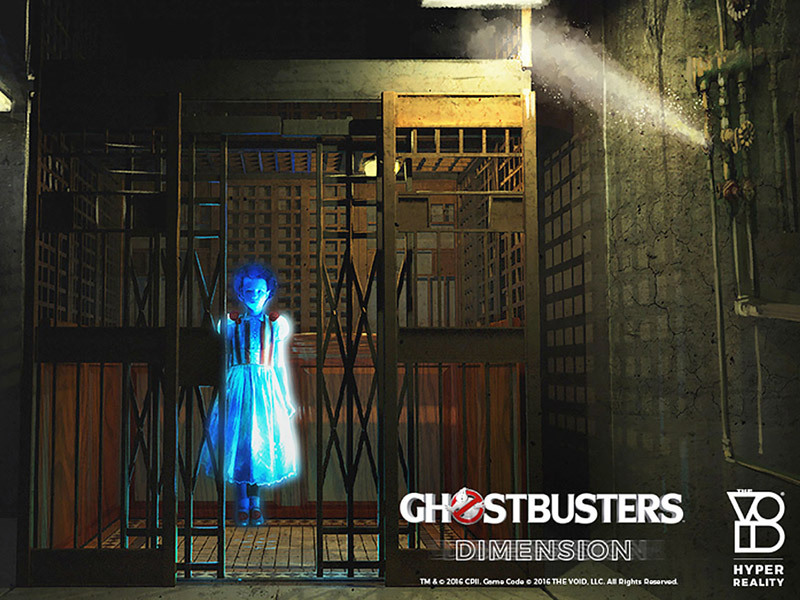 Quite possibly the best use of virtual reality technology to date, Madame Tussauds in New York has teamed up with The VOID to create Ghostbusters Dimension. 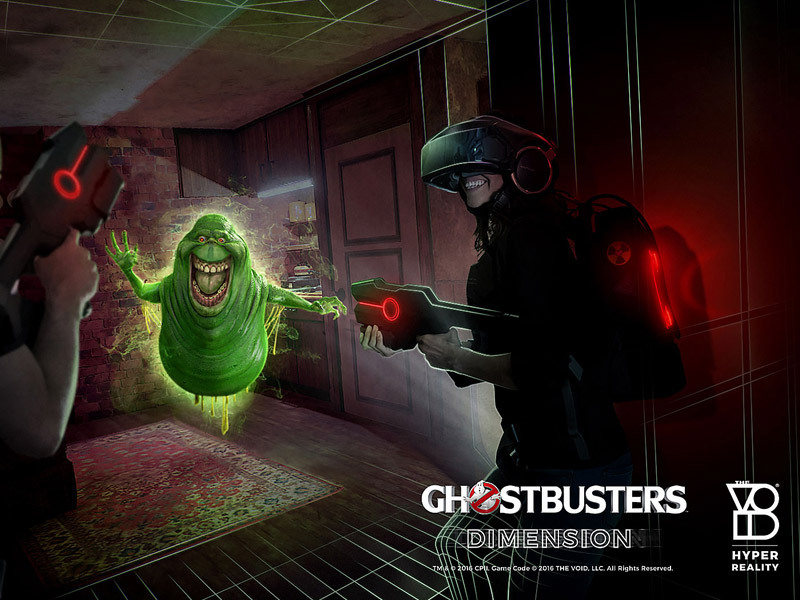 Grab a headset, don a proton pack and go on a virtual ghost hunt in search of Slimer. Long time readers of Theme Park University may remember that The VOID virtual reality company stemmed from the Evermore park in Utah, which never came to fruition. While I still believe that stand alone versions of The VOID will be a financial disaster, adding them to existing attractions, game centers, and even theme parks makes a lot of sense and Ghostbusters Dimension looks fantastic! 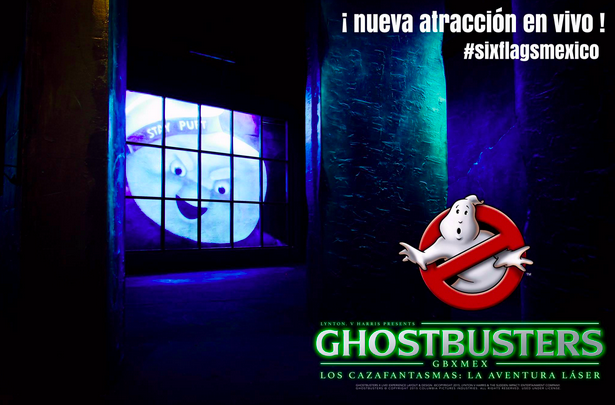 While not completely new, Six Flags Mexico’s Ghostbusters Laser Adventure seemed to start this new trend. A laser tag style walk through attraction has been at the park for years and this new ghost busting version replaced a “Terminator” laser tag walk through in 2015. This may be the most low-tech Ghostbusters attraction on the planet, but the visuals look pretty great for a laser tag adventure! Personally, I am willing to fly to Dubai just for this. 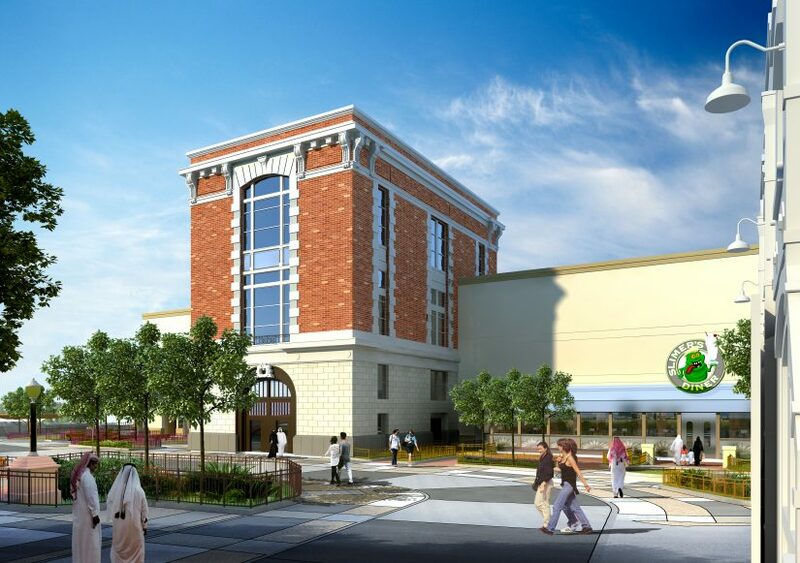 Motiongate Dubai will be opening Ghostbusters: Battle for New York in December 2016. 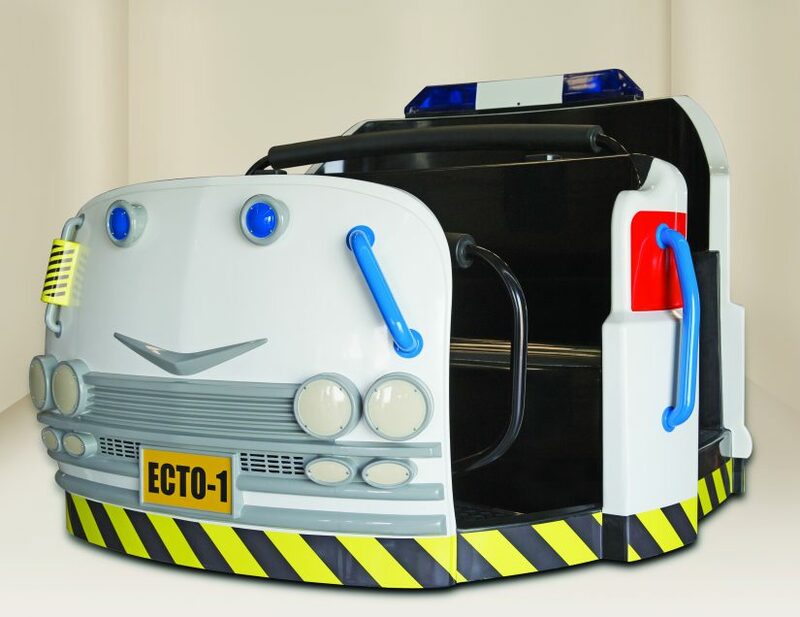 This attraction will feature a trackless ECTO-1 ride vehicle that will maneuver through a multi-level dark ride featuring a mixture of screens and sets. I have been given a secret sneak peek of this attraction and I can tell you this will be one people will be talking about. It features a very elaborate queue and pre-show. In addition, there is a Ghostbusters cafe and even a Ghostbusters boyband show near the attraction. Basically a mini-land dedicated to the film, which is a fan’s dream come true. 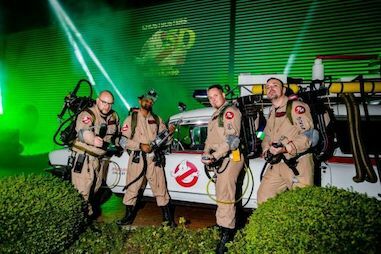 Finally, Heide Park in Germany just announced Ghostbusters 5D, which will open in summer 2017. Not a lot of details have been revealed yet, but it seems that this will be a dark ride similar to Men In Black: Alien Attack at Universal Studios Florida. Riders will board yet another version of the ECTO-1 and ride through a warehouse blasting ghosts with a special ghost blaster. I am looking forward to more details being released on this one! 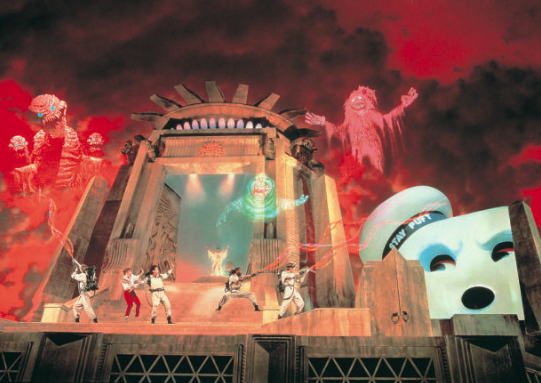 Of course, no one can forget the amazing Ghostbusters Spooktacular at Universal Studios Florida which opened with the park. One has to wonder if a new version of this show could be revived with all the nostalgia and new technology available in 2016. Which one of these attractions are you most looking forward to? This entry was posted in Theme Parks 101, Uncategorized and tagged Ghostbusters, motiongate dubai, Six Flags Mexico, The VOID. Bookmark the permalink. Trackbacks are closed, but you can post a comment.